If you love golf, you’re certainly tuned in to the 2018 PGA Tour — especially the British Open and upcoming PGA Championship. And some of the highest-paid athletes in the world are going to be showing their prowess on the course. you know Tiger Woods is rich — but there are plenty of other gentlemen playing that are also totally loaded. Here are the top 10. His career contains huge ups and downs — both professionally and personally — but Tiger Woods still stands as the richest golfer currently on the PGA Tour. TheStreet reports he boasts a net worth of around $740 million, with an estimated salary of $50 million a year. Business Insider also notes Woods has earned over $111 million from PGA Tours, as he’s won 79 of them. This player, perhaps better known as “Lefty,” is known as one of the most successful golfers since 1992. And The Richest says he’s approximately worth $365 million. As far as his winning streaks are concerned, Business Insider reports he’s won five major championships and 43 PGA Tours. From these, he’s earned over $86 million. He may be younger than some of the other golfers on the list, but he’s still worth a serious amount of cash. Express.co.uk reports his net worth totals around $130 million And he’s earning a lot of his money thanks to his Nike contract, which brought in an estimated $100 million when he signed an extension to it in 2017. As far as wins are concerned, McIlroy has won four major championships and 14 PGA Tours, bringing him over $38 million, says Business Insider. 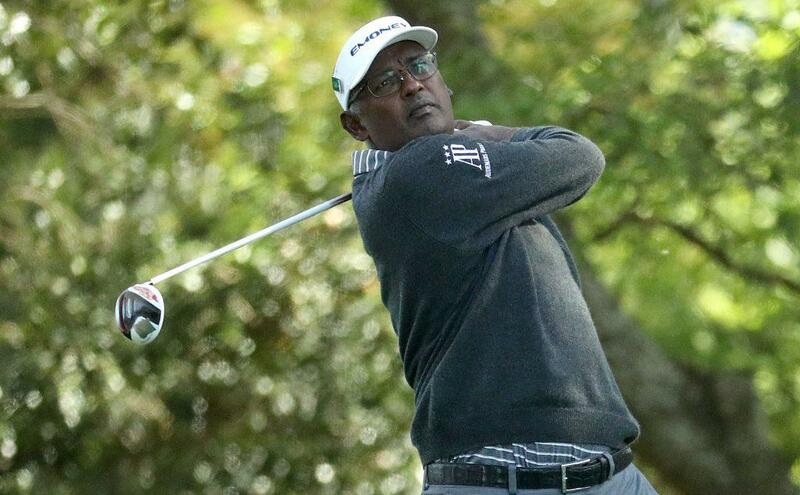 This Fijian professional golfer has proved he’s a force to be reckoned with. Celebrity Net Worth reports he’s worth approximately $75 million, too, and he also won the most PGA Tour money in 2003, 2004, and 2008. From his tour earnings, he’s made over $70 million and won 36 of them in the past, says Business Insider. This South African golfer has earned a ton of wins over his career so far. And The Richest notes Ernie Els’ net worth is $75 million. As for the PGA Tour, Els is no stranger to winning these, either. He’s earned over $48 million from them and won 19. He’s also won four other major championships, Business Insider reports. He’s an amazing golfer — and he’s also earned a ton of money from his endorsements. Celebrity Net Worth says he’s worth $70 million even with a few disappointing seasons. And Business Insider notes he’s won one major championship and 10 PGA Tours, earning him over $47 million. He may hold the score for the lowest PGA score ever (58), but you can never count Jim Furyk totally out. Money Inc. reports he has a total net worth of around $50 million, and he also ranked second in the Official World Golf Ranking in 2006. For PGAs, Business Insider reports Furyk has made over $67 million from his 17 Tour wins. He won last year’s British Open, earning him $1.85 million in winnings — not bad for a golfer in his 20s. And Jordan Spieth continues to prove he’s no slouch. Express.co.uk reports he’s worth around $41 million. And his 10 endorsements, which include Coca-cola, Rolex, and Under Armour, certainly help with this as well. He’s also won 11 PGA Tours and earned himself over $36 million from them, Business Insider reports. Adam Scott’s career really took off in 2001, and since then, he’s managed to pull off a net worth of around $40 million, Celebrity Net Worth reports. And Business Insider notes he’s earned over $47 million from his PGA Tours over the years. Here’s another star who’s ascended the ranks and raked in millions over his years as a professional golfer. One of his best years was in 2011, when he was ranked No. 1 in the Official World Golf Ranking — and he held on to that title for 40 weeks. The Richest reports his net worth stands around $40 million. And Business Insider notes he’s won five PGA Tours and earned over $35 million from them.